If you’re thinking about getting a new car near Breckenridge, you’ll find a full lineup of new and used vehicles for sale at Dakota Chrysler Center. But what are the benefits of leasing vs. buying a car? Find out with this guide to car leasing and financing from our team of car finance experts in Wahpeton, where you can get pre-approved for a loan right now. Affordability – In general, leases come with lower down payments and lower monthly car payments than auto financing plans, which means you can either get a nicer car with more features or stash more money away in savings. Newest Features – Lease terms are relatively short, usually around two years, and at the end of the car lease you can simply bring it into the dealership and trade it in for a new model, ensuring that you’re always driving a vehicle with the latest in tech, convenience, and safety. Ownership – Financing a car comes with monthly payments, but as soon as the loan term is over you will own the vehicle outright. This comes with a number of benefits, including no longer having to make monthly car payments and the ability to use the value of your vehicle to help you pay for your next car. Freedom – When you finance a vehicle, you’re free to drive it for as many miles as you want, and you can customize it with unique paint jobs, a custom stereo system, and performance parts. 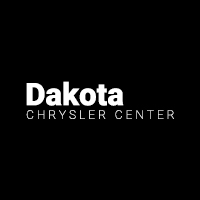 Schedule a Test Drive Near West Fargo at Dakota Chrysler Center! Whether you’re looking for a bad credit car finance plan or car lease deals, the team at Dakota Chrysler Center is here to help, used our car finance calculator and car lease calculator to figure out your estimated monthly car payments. After that, value your trade online and then come by our dealership to take a test drive. We’re located near Fargo at 7950 179th Avenue SE in Wahpeton, ND, and you can reach us at (888) 358-8048.